If you want to clear grass for garden space and landscaping, you're going to need a sod cutter to do the job. Explore different types of sod cutters and how to use them. What Is a Sod Cutter? 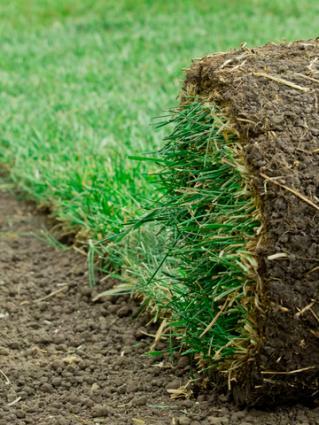 There are different types of sod cutters, but they all essentially cut grass at the roots so you can remove entire sections of sod and expose the bare ground beneath. The type of cutter you choose to use depends on the job you want to accomplish. Your options range from very basic tools to motorized cutters. This is the most basic type of sod cutter available. 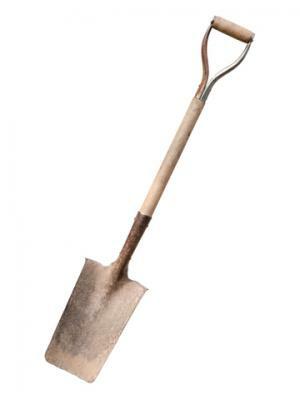 It looks a lot like a regular shovel, except that it has a shorter handle and squared edge instead of a rounded edge on the end. It can be used to manually edge your lawn, but you can also use it to remove small sections of sod one at a time. It takes some muscle to use it, but it's fine if you only need to remove small patches and you're able to take your time completing the job. Use your boot to drive the edge cutter straight down into the sod where the edge of your grass meets the pavement. Continue working along the edge to cut through the unwanted sod. Use the cutter like a shovel to lift out the sections of sod you want to remove and dispose of them as you see fit. Plan to work in small sections, and mark out the entire area of sod you want to cut away. Use your boot to wedge the cutter into the sod at an angle. Listen to hear the slicing sound as you cut through the grass roots. Cut out small chunks of sod, and lift them away with the cutter. Continue working in this manner until you've removed all the sod. A kick sod cutter has two long handles anchored with a crossbar. There's a roller and a flat blade at ground level, and you can adjust the level of the blade to one that works best with your project. You use the cutter by kicking the crossbar to move it along as you cut. You can use this type of cutter to remove long, narrow strips of sod you can roll up and remove. Mark out the area where you want to remove all the sod. Starting at the outermost edge of that area, give the cutter a kick with your boot to make the first cut into the sod. Continue kicking and cutting until you reach the end of the row. Raise the handles on the cutter to split off the end of the strip from the rest of the grass, and roll up the entire strip of sod for removal. If you plan to remove a large area of sod, a motorized sod cutter is the best machine for the job. However, it's very powerful and can be difficult to maneuver because it really shakes. You can rent one for approximately $50 an hour, but it may be better to contract with a landscaping company to remove the sod for you. If you still want to do the job yourself, each motorized cutter comes with its own operation manual that contains specific directions for using that machine. So, always read those directions before you begin. Plot out the area where you want the sod removed, and remove any rocks you find. Check the oil level in the machine to make sure it meets the manufacturer's guidelines, and add more if needed. Also add gas as needed. Put the gear shift into neutral, raise the blade, and push the cutter to the edge where you want to begin. Lower the blade, and start the engine. Shift into low gear and gently pull back on the throttle. Push the cutter forward a few feet, shift it to neutral and check to see how deep the cut is. Adjust the level of the blade as needed. Shift the cutter back into low gear, and continue cutting sod. At the end of each row, raise the handles of the cutter in order to push the blade down and make a cut that severs your strip from the rest of the lawn. Rolling up the strips as you finish each row makes it easier to see where you've already cut. Shift into neutral. Position your cutter at the start of the next row, shift into low gear, and cut the next strip. Repeat as needed until you've cut the sod from the entire area. When you're finished, shift into neutral and turn the cutter off. No matter how much sod you need to cut, you'll find that choosing and using the right tool for the job will make this back-breaking work a little easier. The sod you remove is a valuable resource that can be transferred to other areas you'd like to make green and beautiful.